Three lengths of lightweight chain add nice movement and detail to your outfit. Can be used as a wallet chain or simply attached to belt loops. 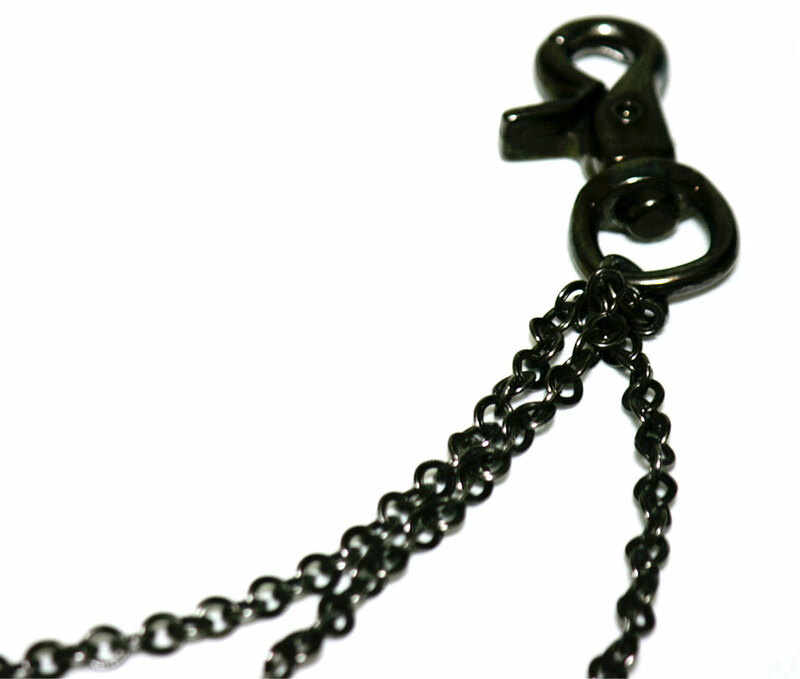 This item is used and some links of the chain have been broken and repaired with pliers. 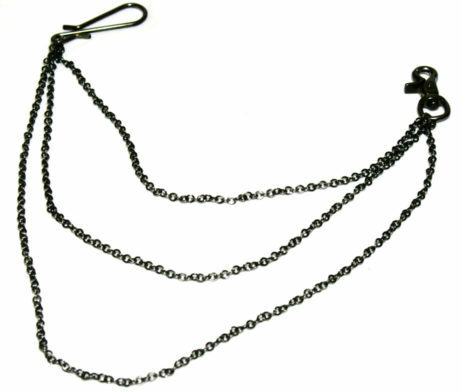 The chain gives way fairly easily to prevent snagging you super hard, but it also means you may have to perform frequent repairs if you’re not careful. The original price of this item was about $80.